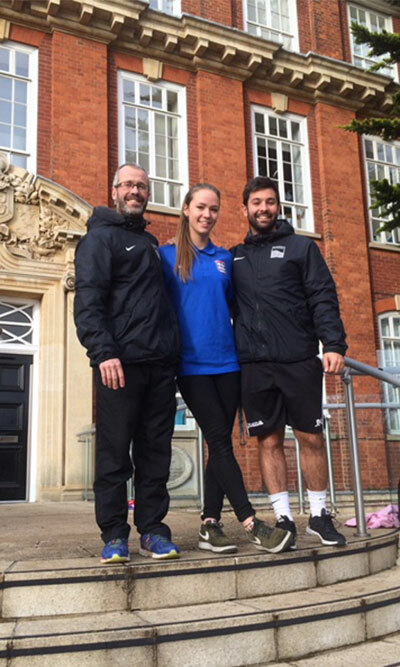 BHASVIC Ladies Captain and Brighton and Hove Albion goalkeeper Nina Wilson created history yesterday after becoming the first female footballer at the college to represent England Colleges at St Georges Park in Burton. Nina was successful after going through three sets of trials and played 45 minutes, keeping a clean sheet in her first appearance for the ECFA team. Nina’s teammates included players from Manchester City, Watford and Tottenham which didn’t seem to faze her in a game which was very one sided. Joe Mctiffen, BHASVIC ladies manager said “ I am so proud of Nina, she has worked very hard to reach this level and to watch her play at St Georges Park was a proud moment! She is only going to improve as a goalkeeper and I really think she has a bright future ahead of her. Let’s hope she can put in similar performances for us this year as she was excellent”. Nina will have further fixtures in the new year against Wales, Ireland and Spain in which we wish her well!